James Wight (1916-1995), a British vet all his professional life, is better known by his pen name, James Herriot. 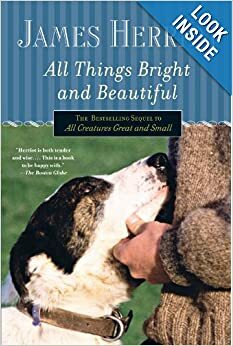 If you haven’t read this guy’s wonderful tales of his life and work with animals, along with his partners, Siegfried and Tristan Farnon, perhaps you’ll recognize this title. 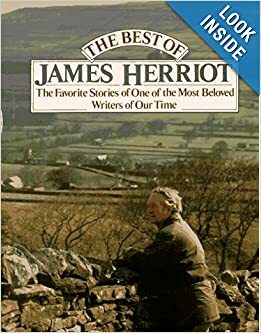 Herriot’s books, with titles finishing the rest of the rhyme (All Things Bright and Beautiful, All Things Wise and Wonderful...and The Lord God Made Them All), plus a raft of related books about his beloved Yorkshire, have sold in the millions. They’re a relaxing read for a cold winter’s night (or hot summer day), but even better, they teach some surprising lessons. Any work is good, if it’s honest…but it may not be easy. Herriot worked a difficult schedule, with hours spent covered in mud, wrestling out calves and colts from their reluctant mothers. He and his partners were on 24-hour call. Steady work? Yes…but not at a high salary. Herriot raised a family, though, and gained a local reputation for his steadiness and care with livestock and small animals. It may lead, though, to some interesting doors…if you’re willing to try them. Herriot’s wife challenged him (at age 50) to write, so he did: football stories. When they, and others, were rejected, he wrote the first story based on his own experience — If They Could Only Talk. Even those opportunities might take a while. Herriot began writing in 1966, with an armful of rejections. If Only They Could Talk was finally published in 1970, and It Happened To A Vet in 1972. 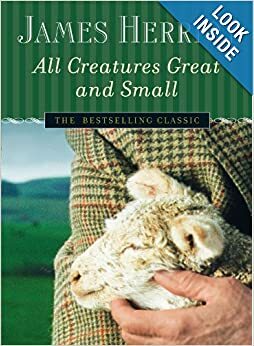 But sales were modest until the two books were combined and reissued as All Creatures Great and Small in 1972. Patience and persistence paid off. Continue to do what you love. Herriot continued to write — but also kept on with the job he loved. Not only did he continue to practice veterinary medicine — but his son became a vet, and his daughter a doctor. Learn from your experience — and use it to help others. To the end of his life, Herriot remained surprisingly unassuming. He actually referred to his bestselling books as his “little dog and cat stories.” His love for the Yorkshire Dales did, however, spark a tourist rush that the region has continued to benefit from. There’s even a “World of James Herriot” attraction…and what photos are featured? Not the famous man himself…but actors from the television series he inspired.